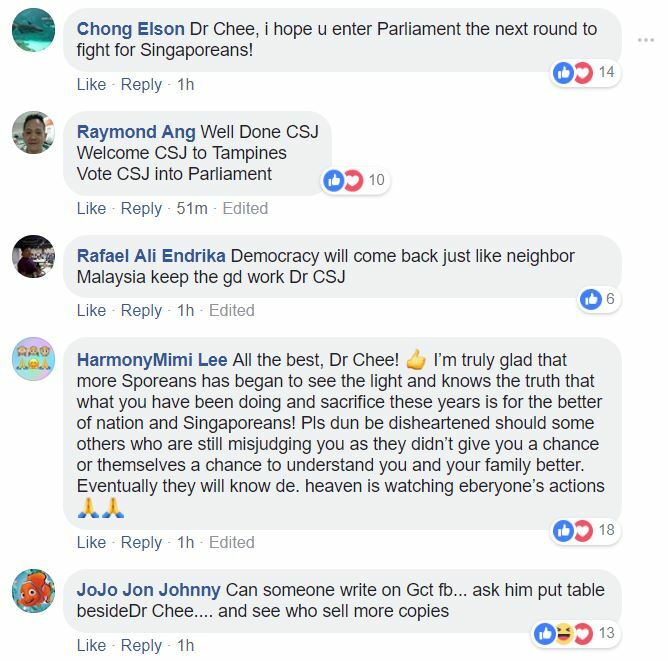 Singapore Democratic Party’s secretary-general Dr Chee Soon Juan happily shared on social media that Singaporeans are openly lining up for a signed copy of his book outside Raffles Place MRT station. Dr Chee has been personally selling his latest book, entitled ‘Never on Bended Knees’, outside the station today and yesterday. 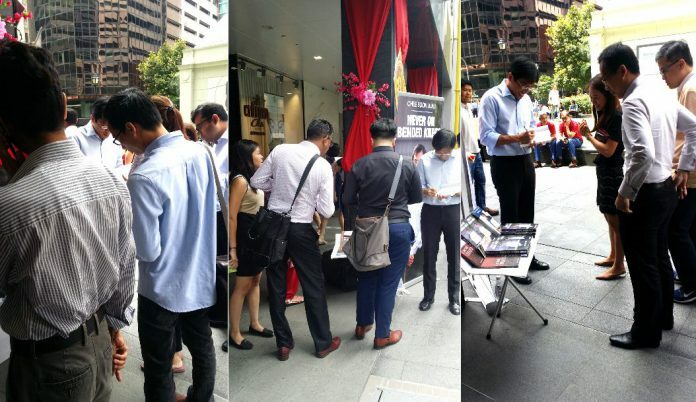 Sharing pictures of people making a beeline for his book, Dr Chee noted yesterday that the socio-political atmosphere in Singapore seems to be changing. 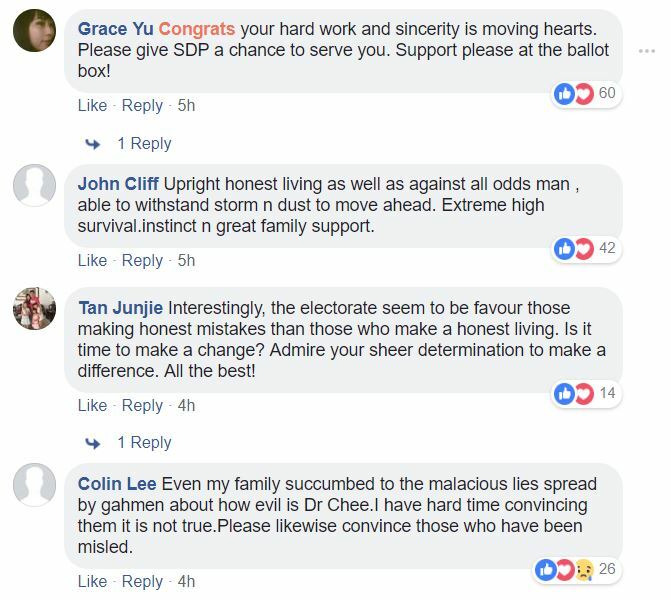 Earlier, Dr Chee revealed that two Government-linked organisations rejected his requests to hold his book launch at their venues. In November 2018, Dr Chee had rented a room at The Lifelong Learning Institute (LLI) to hold the launch of his new book. LLI is a Continuing Education and Training campus run by SkillsFuture Singapore. SkillsFuture is a national movement, launched by the Government. LLI allowed Dr Chee to hold his book launch in their premises. Dr Chee proceeded to fill out the rental application and paid the rental in full. He did not hear anything from LLI over the next two months until he announced the book launch, this month. Days later, an LLI manager called Dr Chee and informed him that his booking has been cancelled since the event and the book do not appear to be “related to training, skills upgrading and lifelong learning for the workforce,” even though it had not read his book. Dr Chee then tried to book a room at the National Library, to no avail. He shared on social media that the Library turned down his requests to rent a room since they were apparently fully booked on all weekends from January to May. The book launch eventually proceeded as planned last Saturday at the SDP’s office in Ang Mo Kio.